--> Union home ministry has decided to rename the tourist visa-on-arrival scheme as 'e-tourist visa' scheme with effect from 15 April 2015. --> The step is aimed at avoiding inconvenience to foreign tourists who, misled by scheme's nomenclature, would fly into India presuming that they would be granted visa on arrival upon landing. --> Under the 'tourist visa on arrival-electronic travel authorization scheme', a foreign tourist was required to apply for a visa online by uploading his photograph and passport and also paying his visa fee online. --> The visa authorities would then process his application and send him an electronic travel authorization, or simply e-visa, via e-mail within 72 hours. --> Ministry of Water Resources, River Development & Ganga Rejuvenation has constituted a 'Task Force' on Interlinking of Rivers comprising experts and senior officials to look into the issues relating to Interlinking of Rivers ( ILR) in the country. --> The Task Force would be chaired by BN Navalawala, former Secretary of Ministry of Water Resources. --> Restaurant search application Zomato has acquired cloud-based point of sale (POS) product for restaurants MaplePOS, a company statement said on 14 April 2015. --> Zomato has already renamed the MaplePOS product "Zomato Base", and information on the product is now available. --> Zomato offers restaurants features such as menu and inventory management, and has a built-in payment solution to accept debit and credit card payments. --> Turkey on 14 April 2015 began the construction of its first nuclear power plant located at Akkuyu in Mersin province on the shores of the Mediterranean Sea. --> It will be built by Akkuyu Project Company, a subsidiary of Russia’s nuclear agency Rosatom. --> US President Barack Obama has nominated prominent Indian-American businesswoman Shamina Singh to a key administration post. --> Singh has been nominated as the member of the Board of Directors of the Corporation for National and Community Service for a term expiring in October 2019. --> The popular ‘Vividh Bharati’ services of All India Radio (AIR) will now be available to listeners in and around Delhi on mobile handsets with the launch of FM transmission of the channel. --> Information and Broadcasting Minister Arun Jaitley, who launched the FM transmission, also delivered a message to the listeners of the channel, saying Vividh Bharati services would reach people within a range of 60-65 km with much clarity at all times in all weather conditions. --> Vividh Bharati offers a mix of film music, skits, short plays and interactive programmes. --> The I&B minister also said the Doordarshan’s ‘Kisan’ channel could be launched in May. 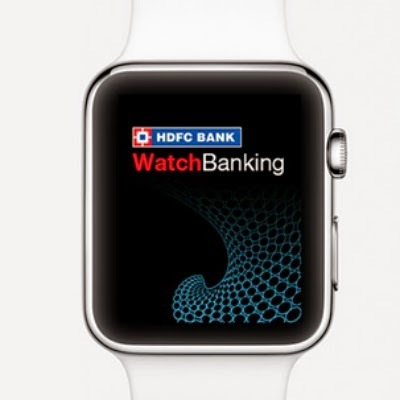 --> Indian banking giant HDFC has just announced an HDFC mobile banking app, designed specifically for the Apple Watch. --> Simply titled WatchBanking, the move makes HDFC the first bank, and also the first Indian company to launch an app for the Apple Watch, due to launch in India later this month. --> HDFC Bank placed at the top spot among all banking entities in mobile banking transactions during January 2015 according to the pertaining data released by RBI on 14 April 2015. --> It is followed by ICICI Bank, State Bank of India and Axis Bank with respect to mobile banking transactions. --> Nation observed 124th birth anniversary of Bharat Ratna Dr. Bhim Rao Ambedkar on 14 April 2015. 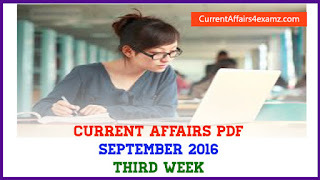 --> Dr. BR Ambedkar is popularly know as the architect of India's Constitution. --> Rich tributes were paid to the architect of Indian Constitution Dr. Ambedkar in Parliament complex. --> Throughout his life he worked for the upliftment of dalits and tribals and campaigned against social discrimination. --> Aam Aadmi Party rebels Yogendra Yadav and Prashant Bhushan on 14 April 2015 rallied their supporters and announced a separate group called the "Swaraj Abhiyan," pledging to work for alternative politics.